Harmon Cove I was the first condominium community built by Hartz Mountain. Many of the Harmon Cove I town homes overlook the scenic Hackensack River. Others border the Harmon Cove marina and river inlets. Harmon Cove II town homes are nestled in a woodland of well-maintained landscaped grounds. The Harmon Cove condominium complex features a gatehouse entrance with 24-hour security, recreational clubhouse, pool, tennis, and basketball courts, a playground and 4 miles of paved trails that link the river front and woodland settings of the Harmon Cove communities. We care about the environment. Our Clubhouse and Cove Club have solar panels on the roof which provide clean energy and save money on electricity. One Bedroom: 836 Sq. Ft.
One Bedroom and Den: 1006 Sq Ft.
Two Bedrooms: 1006 Sq Ft.
Two Bedroom town home with family room: 1451 Sq.Ft. Three Bedroom town home with family room: 1780 Sq. Ft.
Three Bedroom with Den: 1953 Sq. Ft.
One Bedroom: 936 or 1129 Sq. 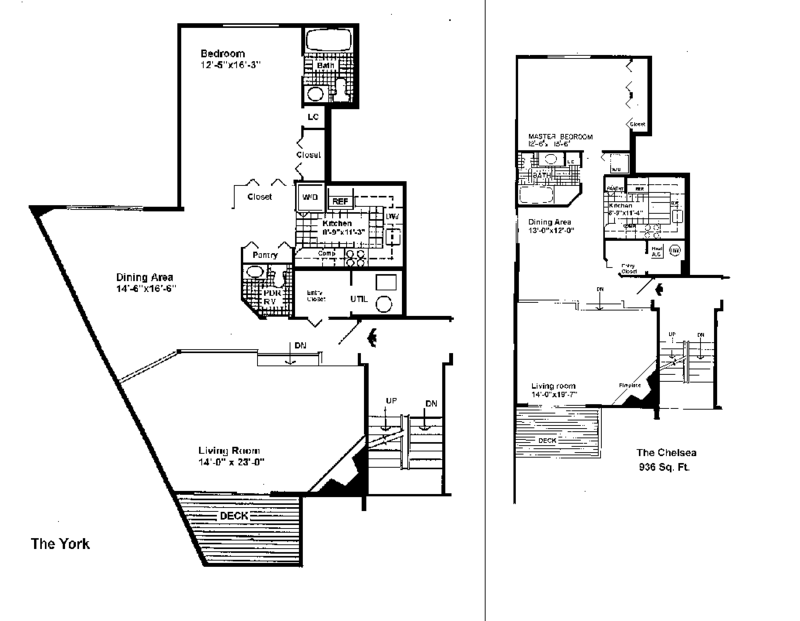 Ft.
One Bedroom and Den: 1090, 1129, or 1347 Sq. Ft.
Two Bedrooms and Den: 1718 or 1836 Sq. Ft.
Two Bedrooms, Den and Loft: 1882 Sq. Ft.
Three Bedrooms with Family Room: 1861, 2207 or 2444 St. Ft.